The Trappist monks chose to live in Maromby, not far from the Cistercian, Ursuline and Carmelites, who, like their congregations, were very active in agricultural work. 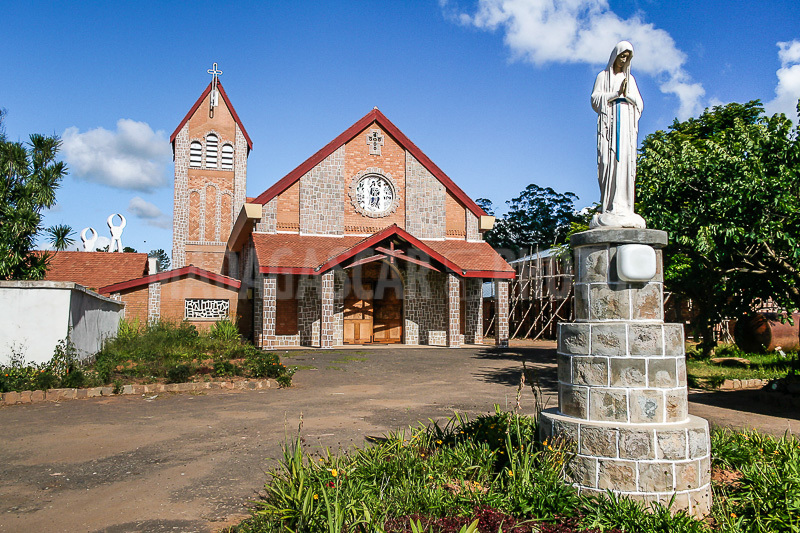 This religious diversity that marked Fianarantsoa dates back to the great liberal discourse that Queen Ranavalona II pronounced on September 23, 1873. The missionaries from all walks of life, including the Jesuits, the French Protestant Mission, the London Missionary Society, the Brothers The Christian Schools, the Lutherans of the Norwegian Mission, and the Sisters of Saint Joseph of Cluny. Visiting the city in 1890, a French doctor from Paris was struck by "the considerable number of religious buildings, churches and temples built on the north side of the city." The reality remained the same, under the protective gaze of the Virgin dominating the city.